Know how to care for your human hair wigs will save much money,when it comes to lace wigs,good hair care condition will allow for a more natural appearance and will extend their service life for years. 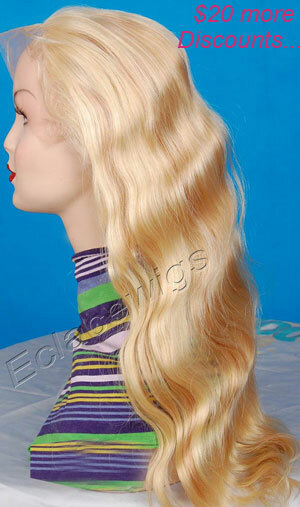 human hair lace wigs allow for a more natural appearance, whether it’s for every day use or for a stage play.However,when it comes to caring for the wig, just because it's real hair does not mean you can treat it like the hair on your head.their are lots of buyers complaint they bought bad human hair wigs because their wigs tangle or shedding after wearing 10~30 days,this is unfair to sellers,because most of the problems wear caused by bad hair care condition such as over bleaching,sealing knots,coloring hair and hot flating etc.There are things you need to do to protect your investment which will allow the human hair wig to look good for years.this is ture. 1.Protect human hair wigs from an oily appearance by keeping your own hair clean. Besides washing your own hair,we consider it is better to wear a wig cap under the wig. 2.Wash human hair wigs infrequently; wear your wig for about six times or 7~10 days between washings.However if it starts looking oily or dirty, then decrease the wearing time between washings. 3.How to remove tangles from the human hair wigs before washing?Use a wig pick for curly human hair wigs and a wig brush for straight human hair wigs.Carefully comb or brush through the tangles. 4.Fill a sink with lukewarm water and add wig shampoo.Soak the wig for five minutes in the soapy water. Gently squeeze out excess water.Rinse well in lukewarm water. 5.Place the human hair wig back in the sink.Pour shampoo in your hand and gently massage the wig.Be careful not to overdo the massage.Rinse well in lukewarm water. 6.Pour conditioner in your hand;the amount will depend upon the bottle’s directions. Massage it into the wig and allow to stand for five minutes Rinse well in lukewarm water. Gently squeeze out excess water. 7.Human hair wigs should be placed in a towel and blot gently to towel dry.Place the lace wig on the wig stand to air dry.If you need to wear it soon, a human hair wig can be dried with a blow dryer set on low. 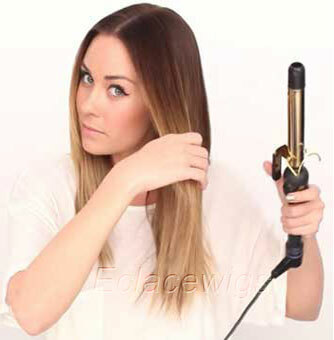 8.Comb or brush gently through the human hair wig.Style using hot rollers or curling iron or Velcro rollers. Set with a wig spray or light hairspray. Remeber:some tight curl human hair wig style should be finger combs,such as afro curl wig.it needs special hair care condition. View previous：How to Remove Full Hair Lace Front Wigs? View next：How to Seek a Good Human Hair Full Lace or Front Lace Wig Unit?